HFTP is excited to host its innovation pitch competition Entrepreneur 20X (E20X) again this year at the world’s largest hospitality technology exposition — 2018 HITEC® Amsterdam and HITEC Houston. In anticipation, HFTP was interested to learn what life is like for an E20X award winner after the competition. 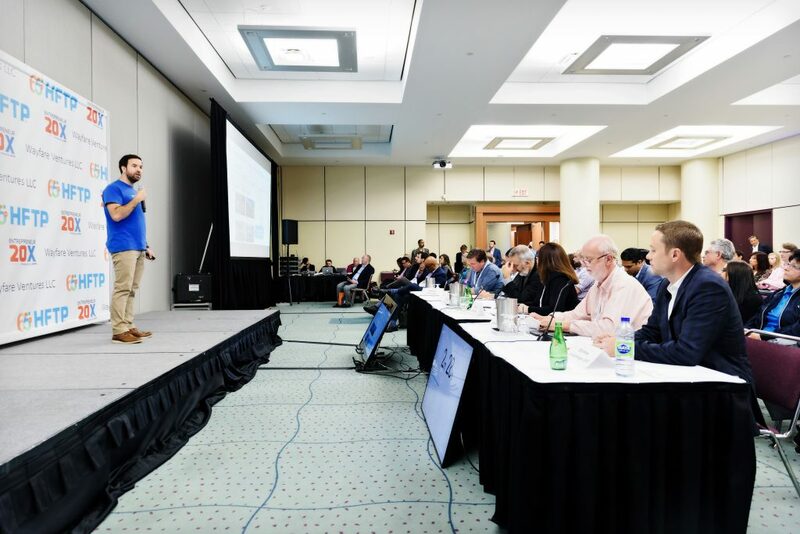 So, we reached out to Arrivedo Co-Founder & CEO Alonso Franco and his team to find out how things have changed for Arrivedo since receiving the People’s Startup Award during E20X HITEC Toronto in 2017. Arrivedo — a technological startup company based in Lima, Peru and San Francisco, California — is a booking engine that integrates Neighborhood Guides to guests so you can be their local host. By creating stronger relationships between hotels as local hosts and their guests, Arrivedo is building a platform for travelers all around the world to connect meaningfully with different places and local cultures. How have things been going with Arrivedo since you participated in E20X? After E20X, we experienced great momentum with hundreds of hotels starting to use our technology. 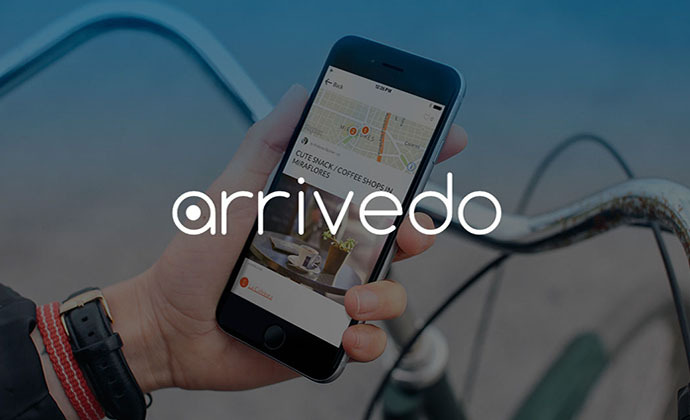 Today, more than 500 hotels in over 100 cities have published a Neighborhood Guide with Arrivedo. 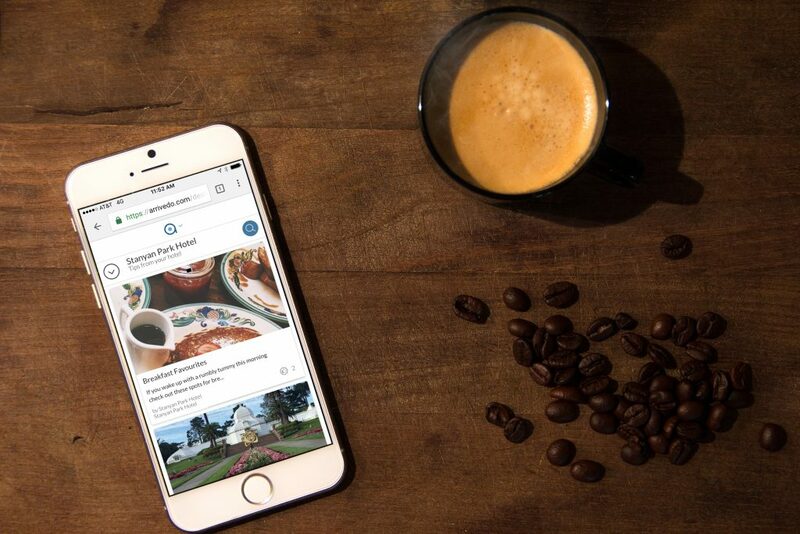 We launched our metasearch engine that not only allows hotels to showcase their Neighborhood Guides via our editorial technology platform, but also to sell accommodations. Since our participation in E20X, we have grown our travel writer community to more than 600 freelancers around the world. Applicants have included writers working with proclaimed publications, including Forbes Travel, Huffington Post, Reader’s Digest and more. 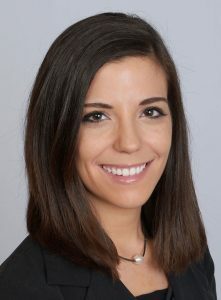 We continue to expand our team and include new positions. Our most recent positions include two full-stack engineers, writer project manager and customer success. What was the overall E20X experience like for you and Arrivedo? Talking with many hoteliers in a single place was certainly eye-opening. 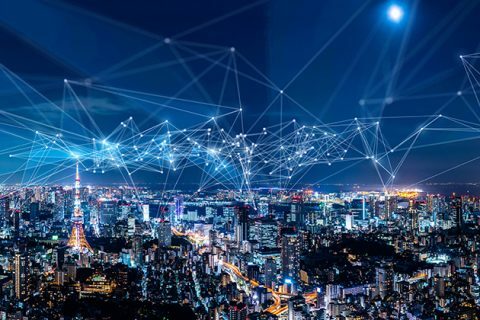 The hotel technology industry is developing at a rapid pace and it is incredible to be a part of that change while also gaining alternative insight from others along the way. What was the best piece of advice or insight that you received during E20X? At the event, we learned more regarding how hoteliers feel about competitors like Airbnb. 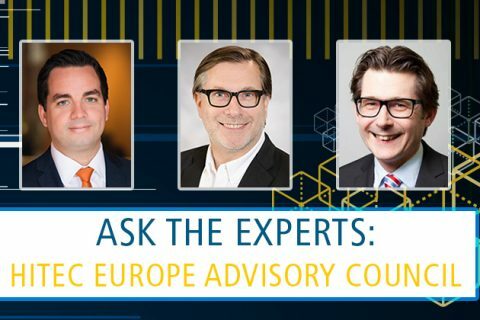 Hotels are excited to start targeting the modern traveler in search of authentic experiences (it may be a bit confusing in terms of how to do it, but hoteliers are willing to defend their business). On the other hand, they are also worried about how Airbnb and companies of the like can claim customers and detract from hotel business. Much of the recent news has been on the latter, but little has been written about how hotels are becoming better local hosts. Are there any tips you would give to other hospitality startups participating in E20X this year? Read the judging criteria in detail before the competition. Prepare the text you would like to present and gauge your ability to communicate the message effectively. In addition, when choosing your words, be strategic and cover various fronts. Make sure you are able to deliver the text within the allotted timeframe and leave about 20 percent as an extra buffer. Then practice, practice, practice and recite the text until you don’t need to read it anymore. Reflect on different ways that the audience can best connect to the main points you want to make. Explain why people care about your product and frame your presentation like a story that will take the audience on a journey. The goal should be to communicate a message to help others easily understand why the product will make a difference in their lives. 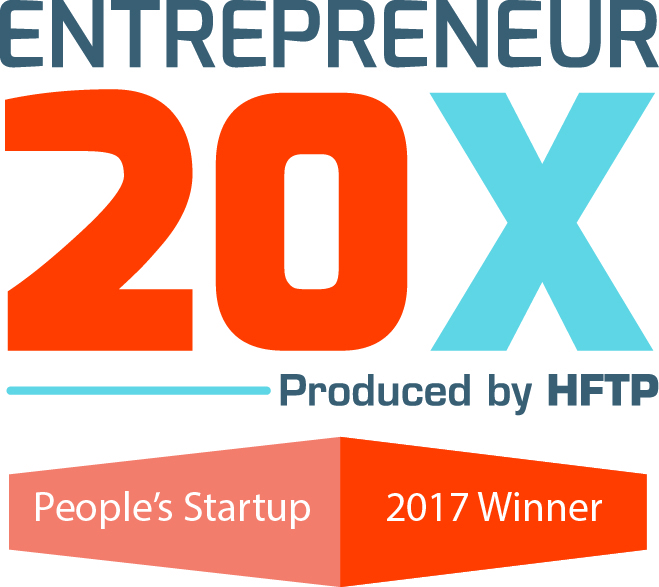 What did it mean to you personally to be an E20X winner and receive the People’s Startup Award? I have been in the hospitality sector now for more than 10 years, and hosting has always come very naturally to me. Getting the recognition from a group of people in the hospitality industry was truly something special and unique. What was the inspiration behind Arrivedo? As a passionate local host, I love welcoming people into Peru and want travelers to discover the country’s beauty beyond the conventional route. I have helped thousands of Pariwana Hostel guests get to know the area from an insider’s perspective with personalized maps showcasing local recommendations. I know there are hundreds of great local hosts and believe a platform like Arrivedo is symbiotic for hosts and guests. Not only will our digital platform allow hosts to share their local insights with current and future guests, it will also help travelers identify a complete experience when researching which hotel to select when traveling to a new destination. Thank you to Alonso and the rest of the Arrivedo team for sharing their insights, progress and professional successes experienced in the time since their E20X victory. Submit your application via each HITEC event’s respective website, both of which can be accessed directly from www.hitec.org. For more information, email E20X@hftp.org or visit www.hitec.org and look for the Entrepreneur 20X webpage. Pre-show mentors will entertain a series of brief one-on-one calls with chosen pitchers leading up to the competition to provide coaching and pitch deck feedback. Day-of mentors will meet face-to-face with participants in a series of pre-booked meetups hours before the E20X competition takes place to share their experience, give their insights and make invaluable connections. Next Post:What are the Pros and Cons of Contact Center Outsourcing?